In today’s world, career-bound individuals are looking for a field that offers job stability as well as a sense of fulfillment. Every day newspapers are filled with stories of company downsizing, layoffs and declining economic trends. While we feel bad for the people it affects, most of us are also thinking “I hope that never happens to me.” Computer forensics growth rates may be of interest to those focused on job stability. While many fields seem to be downsizing and outsourcing, there is one relatively new field – an exciting field that combines the law, technology, and a little “CSI,” that continues to grow at a rapid pace. This field is called ‘computer forensics’; the practice of identifying, preserving, and analyzing digital evidence for use in court. What can be attributed to the rapid pace of the computer forensics growth rate? There are several reasons for computer forensics growth; the most significant being that computers are everywhere. You’d be hard pressed to find a household today without at least one computer. And it is not just computers that computer forensic examiners get involved with. Computer forensic examiners analyze all types of technical devices. Look around you while you walk down the street – people are on their cell phones, using iPods, PDAs, and text messaging. Computer forensic examiners analyze all of these electronic devices! Another reason for the significant growth in the computer forensic field is that most disputes, civil or criminal, are between people who know each other and interact using technology including email, cell phones and text messaging. That leads to a significant amount of potential evidence. Similarly, law enforcement officers are encountering technology at almost every turn and in every type of crime. That is an issue being dealt with on a local, state, and federal level right now. Another reason for the growth is the Internet’s ubiquitous nature. Internet users have vast amounts of information available to them in seconds. It is a tremendous resource, but with all good things there are negatives, and the increase in Internet use and availability has created an increase in criminal activity like hacking, cyber-terrorism, identity theft, theft of intellectual property, fraud, and child exploitation. 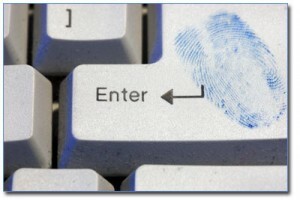 Significantly, criminals think they are anonymous online and won’t be caught. This only increases the amount of criminal activity. An additional explanation for the expansion in the field is that large companies, particularly those that are publicly traded or store large amounts of private customer data, fear the large-scale loss of that intellectual property. These companies fear the ramifications from federal oversight/regulatory agencies like the Securities and Exchange Commission, Federal Trade Commission and Internal Revenue Service. The fines and potential criminal penalties imposed for violations of various statutes designed to protect individuals and consumers can be huge. The lawsuits can be worse. Thus, companies are going to extreme lengths to protect the integrity of their data, particularly intellectual property, and learn about how to prevent the destruction or theft of that information. Finally, and perhaps most importantly, the computer forensic field has bloomed into a very lucrative business. Litigation costs for the production of e-discovery can be in the hundreds of thousands of dollars. Why, you may ask? What is known as the “CSI Effect,” which is that juries and judges want to see tangible evidence before they make a decision about who is responsible in a legal dispute. With advances in technology, computer forensic examiners are often hired to use highly specialized techniques to retrieve and present that evidence in court. Oftentimes, this evidence is powerful when properly preserved and analyzed. Document examiners, lawyers, litigants, forensic examiners, and consultants are all capitalizing on this new business.